Creative LEGO building starts here! 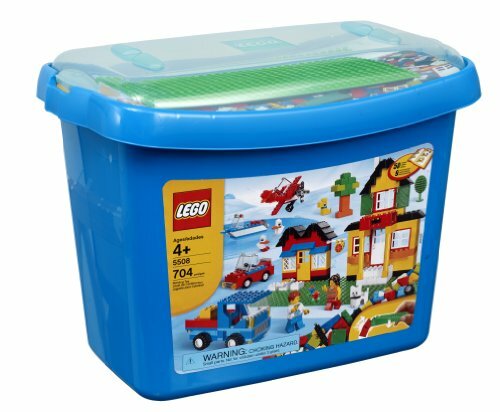 This sturdy and reusable deluxe storage box with removable lid includes everything you need to start imagining and building with LEGO construction! More than 700 elements include classic LEGO bricks and lots of special pieces like wheels, windows, doors, a base plate and 2 minifigures for unlimited building fun. Comes with special brick separator tool, building instructions and a building inspiration leaflet.